Bloodworks is the Blood Bank for the Pacific Northwest and we assist with blood needs across the country as well as internationally. During this time of dire circumstance with wildfires in CA, Hurricanes in Houston, Carribean and Florida as well as general national everyday blood needs please help support our program. Reading Hurricane Harvey headlines, but not sure how to help? Here’s a simple option: give blood. Today we sent emergency blood shipments to Houston and Dallas blood centers. 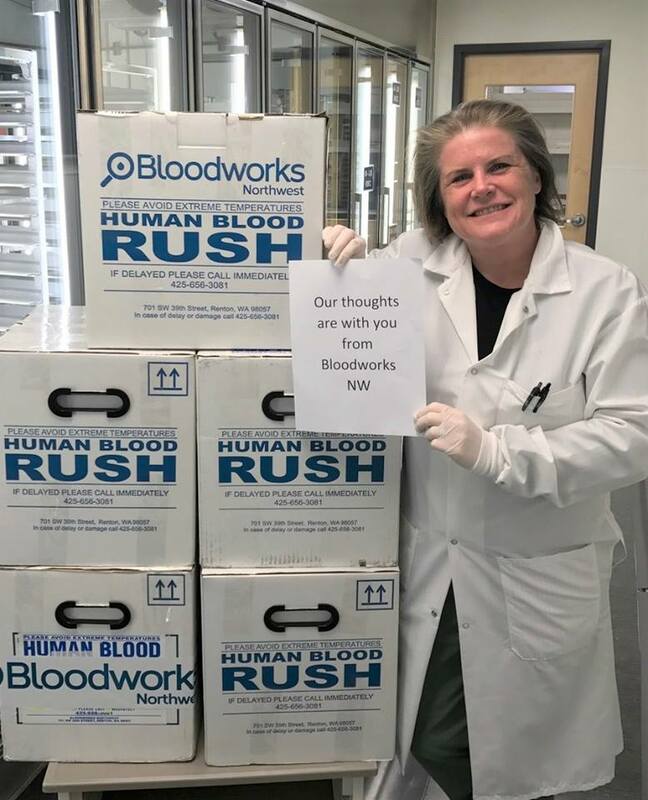 Bloodworks units were also among the first to reach flood-ravaged Houston over the weekend. By giving blood this week, you’ll restore the community inventory and help us be prepared to support other communities in need. Make your appointment at schedule.bloodworksnw.org or by calling 1-800-398-7888.